https://www.biosearchtech.com/products/custom-oligos/custom-oligos-in-plates LGC Biosearch Technologies为那些需要合成大量寡核苷酸的高通量应用提供在96孔板上装载的寡核苷酸合成服务。 其标准服务包括： 1）提供规格为5nmol的脱盐寡核苷酸，按碱基计费 2）装载在2mL 96孔板中寄送 3）最少24条寡核苷酸 4）长度最多可达80个碱基（大于>80-mers时请咨询基因有限公司） 5）以干粉形式运输 以下要求需要额外费用，可根据要求提供报价： a）大于5nmol规格的寡核苷酸 b）长度>80个碱基 c）要求在384孔板中寄送（最少192个寡核苷酸） d）需添加3'和5'修饰，如磷酸化，生物素，氨基，FAM，TET，HEX，TAMRA，CAL和Quasar染料修饰 e）RPC纯化 f）需在溶液或缓冲液中寄送 g）体积和浓度标准化 h）HPLC分析纯 板式寡核苷酸订购 要订购高通量板式Oligos，请使用我们的Oligos in Plates excel定制表格输入您的订单信息，并将完成的文件提交至info@genecompany.com。 LGC Biosearch Technologies offers oligos delivered in plates for those performing high-throughput applications that require large numbers of oligos. LGC Biosearch Technologies offers uncompromising quality and outstanding value by synthesizing custom DNA delivered in plates. Our standard service includes: 5 nmol delivered of salt-free oligos at $0.15 per base Delivery in 96-well 2 mL plates Minimum 24 oligos Up to 80 bases in length (inquire about >80-mers) Oligos are shipped dry For an additional fee, the following options are available and a quotation will be provided upon request: Greater than 5 nmol of delivered oligos Oligo length >80-mers Delivery in 384-well plates (minimum of 192 oligos) 3' and 5' modifications such as phosphate, biotin, amino, FAM, TET, HEX, TAMRA, CAL Fluor®, Quasar®, and BHQ® dyes RPC purification Delivery in solution or buffer Volume and concentration normalization HPLC analysis of % purity Ordering Oligos in Plates Online ordering of Oligos in Plates is currently unavailable. To purchase Oligos in Plates, please enter your order information using our Oligos in Plates excel order form and submit the completed file to info@genecompany.com. https://www.biosearchtech.com/products/custom-oligos/custom-oligos#?tab=product-info 无论您需要标记还是未标记的寡核苷酸或PCR引物，Biosearch Technologies都能满足您的确切需求，因为我们以极具竞争力的价格提供Oligo定制服务。大多数寡核苷酸的合成周期不到5至7个工作日，且可根据需求提供分析证书COA。 LGC Biosearch“构建您的定制寡核苷酸（Build Your Custom Oligos）”服务可定制DNA，RNA，甚至DNA/RNA杂交序列。如果您想订购双标记探针，请使用我们的双标记BHQ®探针快速订购表格。我们还提供其他荧光探针和引物修饰形式。 几个订购小贴士： 1. 如何定制带RNA碱基的寡核苷酸？ 通过从Internal Modification（内部修饰）下拉菜单中选择rA，rC，rG或rU，如果您的序列全部是RNA，选中RNA复选框即可。 2. 如何定制具有内部修饰的寡核苷酸？ 1）如果您的寡核苷酸需要内部修饰，请选择修饰类型，然后单击添加按钮，内部修饰就会插入到光标的位置。 2）添加由T（...）注释的内部修饰表示一个胸腺嘧啶连接在内部修饰上时，将在序列中引入另外的T碱基。 3. 如何定制具有不确定/降解碱基的寡核苷酸（什么是不确定碱基？请参考https://www.biosearchtech.com/support/faqs/custom-oligonucleotides-modifications/what-are-wobbles） 为了确保寡核苷酸能够被有效识别，当在序列中输入不确定/降解碱基时，请使用IUPAC代码，而不是括号如（A/G），（A/G/C/T）等。 4. 合成规模 vs.最终产量 由于探针/引物在合成过程中需要经过多个步骤，如每个碱基的偶联、寡核苷酸从固相支持物上的切割和纯化步骤，会导致合成规模和最终产量不同。经过这些步骤后，寡核苷酸的最终产率会有损失，将小于合成规模（起始材料）。 5. 订购在板中交付的寡核苷酸 需要订购大量寡核苷酸？请访问我们的高通量定制网页，您可以在其中下载我们的列或行格式excel订单。最少起订量48条。 Whether you require labeled, unlabeled oligos, or pcr primers, Biosearch Technologies can meet your exact needs as we offer custom modifications at extremely competitive rates. Most oligos are shipped in less than five to seven working days. Certificates of Analysis are available upon request. The "Build Your Custom Oligos" Quick Order form allows you to build your custom DNA, RNA, and even DNA/RNA hybrid sequences. If you would like to order a dual-labeled probe, please use our Dual-Labeled BHQ® Probes quick order form. We also offer other fluorogenic probe and primer formats. Don’t see the modification you are looking for, or require a larger synthesis scale? We would be happy advise if we can create your specific oligo. Just ask us at techsupport@biosearchtech.com. A few ordering tips... Building Oligos with RNA Bases Indicate that your are inserting an RNA base by selecting rA, rC, rG or rU from the Internal Modification drop down menu or by checking the RNA checkbox if your sequence is entirely RNA. Building Oligos with Internal Modification(s) 1) If your oligo requires an internal modification, make a selection and then click the ADD button. The internal modification will be inserted at the point of the cursor. 2) Adding an internal modification annotated by T(...) indicates that a Thymidine base is attached to the internal modification. Please be aware that an additional T base will be introduced into the sequence when adding such an internal modification. Building Oligos with Wobble/Degenerate Bases (What are Wobbles?) To ensure the most efficient processing of your oligo, use IUPAC code when entering wobble/degenerate bases in the Sequence Entry field instead of using parentheses, e.g. (A/G), (A/G/C/T), etc. Synthesis Scale vs. Final Yield The synthesis scale and final yield are not the same due to the several steps involved in probe/primer synthesis. These steps include coupling of each base, cleavage of oligonucleotide from solid support and purification steps. The combination of these steps cause the final yield of the oligo to be less than the synthesis scale (starting material). Ordering Oligos Delivered in Plates Ordering a LOT of oligos? Visit our Oligos in Plates webpage where you can download our column or row format excel order forms. Prices start at $0.15 per base with a minimum order of 48 oligos. https://www.biosearchtech.com/products/synthesis-reagents/synthesis-and-purification-accessories LCG Biosearch Micropure纯化柱通过进行柱上去三苯甲基化，用于反向纯化5'-DMT（5'-二甲氧基三苯甲基）保护的寡核苷酸。净化滤芯由填充有高性能疏水聚合树脂的柱子或注射筒组成。树脂能够强力结合5'-DMT保护的产物，从而将不结合的常见杂质和截短序列分离。随后用酸处理即可从产物中除去DMT基团。用20％乙腈洗脱所需产物（无有机残余物）。将DNA纯化柱与LGC Biosearch的Microsync ll真空歧管系统结合使用，可同时快速，高效地纯化大量样品。微纯化柱也可以用于寡核苷酸的简单脱盐。 LCG Biosearch Micropure purification columns are intended for reverse-phase purification of 5'-dimethoxytrityl protected oligonucleotides followed by on-column detritylation. The cartridge consists of a column or syringe barrel packed with high performance hydrophobic polymeric resin. The resin allows for strong binding between the 5'-DMT protected product and the resin, thus allowing separation from the most common impurities, truncated sequences, which do not bind. Treatment with acid removes the DMT group from the product. 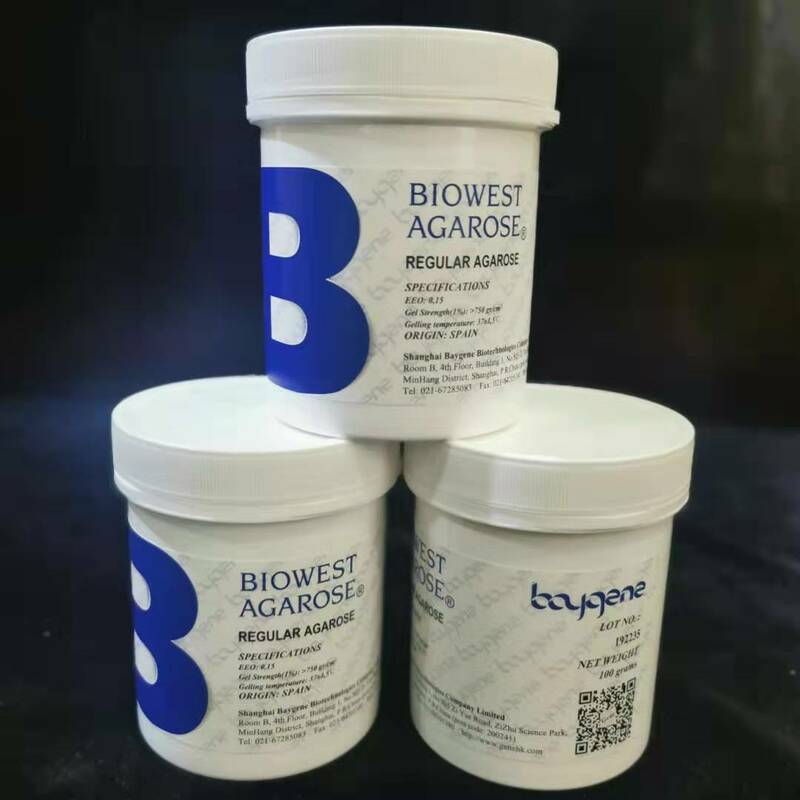 The desired product (free from organic residues) is eluted with 20% acetonitrile. Using the DNA purification columns in conjunction with LGC Biosearch’s Microsync ll vacuum manifold system allows for rapid, efficient purification of many samples simultaneously. Micropure columns may also be used for the simple desalting of oligonucleotides. 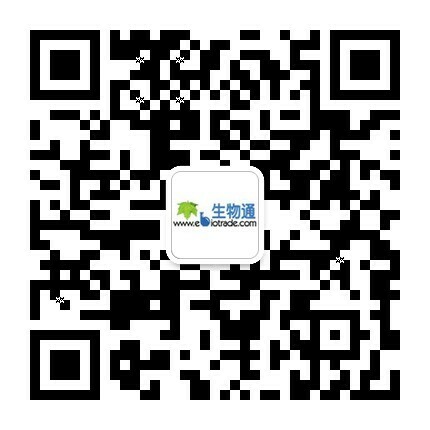 https://www.biosearchtech.com/products/synthesis-reagents/cpg 可控孔径玻璃小球CPG是合成DNA的载体材料，LGC Biosearch生产具有高表面积电位的CPG，以及用于寡核苷酸合成和色谱应用的化学活化的多孔玻璃。用于DNA合成的多孔二氧化硅上连接有核苷酸（ACGT）或非核苷酸化学基团（修饰），可在上面进行固相合成。由于性质稳健，CPG被用作寡核苷酸合成的基础载体材料，其能够在经受苛刻的化学环境后，仍然保持性质不变。碱基修饰的CPG支持载体具有500Å; 1000Å; 1400Å和2000Å多种孔径。未修饰的氨丙基化的CPG载体提供300Å，500Å，1000Å，1400Å，2000Å和3000Å多种孔径。 对于DNA和RNA合成，我们提供3'固相CPG支持载体，有散装或预填充柱两种形式。 标准柱：用于使用Luer-Luer色谱柱的DNA合成仪。 超级柱Supercolumns™：具有上移液管接头和下Luer接头。 这些合成柱适用于各种市售的开放平台的DNA合成仪。标准和超级柱搭配LGC Biosearch任何一款CPG用于合成规模50,200nmol和1umol的应用。 有关仪器的合成柱类型选择，请参阅我们的“DNA合成色谱柱选择指南”。 We produce Controlled Pore Glass (CPG) with a high surface area potential, as well as chemically activated porous glass used in oligonucleotide synthesis and chromatography applications. For DNA synthesis, the porous silica is derivatized with a nucleoside base (ACGT) or a non-nucleosidic compound (modification), on which solid phase synthesis can occur. CPG is used as the foundation for oligonucleotide synthesis due to the robust nature of CPG, allowing it to withstand a harsh chemical environment, while maintaining its desirable properties. Base modified CPG supports come in a variety of pore sizes 500Å; 1000Å; 1400Å, and 2000Å. Unmodified aminopropylated CPG support is also available in 300Å, 500Å, 1000Å, 1400Å, 2000Å and 3000Å. For DNA and RNA synthesis we supply 3’solid-phase CPG supports optimized for DNA and RNA synthesis in bulk or in pre-packed columns. Standard columns: manufactured for use on DNA synthesizers that use luer-to-luer columns. Supercolumns™: have an upper pipette fitting and a lower luer fitting. These columns are designed for use on a variety of commercially available free platform DNA synthesizers. Standard and Supercolumns are available with any of our CPGs for 50, 200nmol and 1umol synthesis. For column type recommendations for your instrument, please refer to our DNA Synthesis Column Selection Guide. https://www.biosearchtech.com/products/synthesis-reagents/synthesis-and-purification-accessories/superpure8482-purification-column-50-nmol-scale-synthesis Oligonucleotides (whether synthetic or natural) may be purified by a number of techniques, including polyacrylamide gel electrophoresis and high performance liquid chromatography (either by ion exchange or reverse-phase methods). Synthetic DNA can be conveniently de-salted and purified by reverse-phase low-pressure separation on BTI's SuperPure (SP-1000) columns. BTI's SuperPure Columns are intended for reverse-phase purification of 5'-DMT oligonucleotides followed by on-column detritylation. The method relies on strong binding between the 5'-DMT protected product and a hydrophobic optimized polymer packing (polystyrene), thus allowing separation from truncated sequences which, due to a lack of DMT group, do not bind. Treatment with acid removes the DMT group from the product, the desired product (free from organic residues) is eluted with 20% acetonitrile. The method is rapid, efficient and permits many samples to be purified simultaneously. The SuperPure column has capacity to handle crude, cleaved DNA from a 50 nmol scale synthesis. The purified yield will depend, in each case, on sequence length and the quality of the crude sample. https://www.biosearchtech.com/products/synthesis-reagents/synthesis-and-purification-accessories/superpure-plus8482-purification-column-200-nmol-scale-synthesis Oligonucleotides (whether synthetic or natural) may be purified by a number of techniques, including polyacrylamide gel electrophoresis and high performance liquid chromatography (either by ion exchange or reverse-phase methods). Synthetic DNA can be conveniently de-salted and purified by reverse-phase low-pressure separation on BTI's SuperPure Plus (SP-2000) columns . BTI's SuperPure Columns are intended for reverse-phase purification of 5'-DMT oligonucleotides followed by on-column detritylation. The method relies on strong binding between the 5'-DMT protected product and a hydrophobic optimized polymer packing (polystyrene), thus allowing separation from truncated sequences which, due to a lack of DMT group, do not bind. Treatment with acid removes the DMT group from the product, the desired product (free from organic residues) is eluted with 20% acetonitrile. The method is rapid, efficient and permits many samples to be purified simultaneously. Crude DNA from a 200 nmol synthesis scale can be loaded on the SuperPure Plus. The purified yield will depend, in each case, on sequence length and the quality of the crude sample.